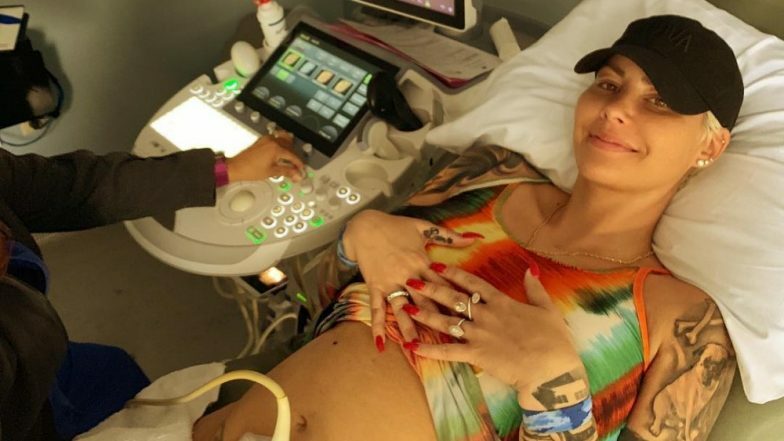 Model Amber Rose is suffering from hyperemesis gravidarum, a severe type of morning sickness that even Kate Middleton underwent during her pregnancy. Just recently, Rose revealed that she is expecting her second child with boyfriend Alexander 'AE' Edwards. She took to Instagram to share news about the same with a cute picture of herself getting an ultrasound. As per a report on TMZ, Amber Rose is suffering from the same type of severe morning sickness that Duchess of Cambridge Kate Middleton underwent. Due to this, she has to deal with horrific nausea and vomiting. Sadly, the case is so severe that she had to be hospitalised for a few days at the Cedars-Sinai Medical Center. The model lost quite a lot of weight due to constant vomiting. However, she is recovering after receiving IV treatments. Amber is currently resting at home. Hyperemesis gravidarum is a symptom that even Kate Middleton suffered from during all thee pregnancies. She also had to take some treatment at a hospital during her pregnancy with Prince George. The symptom is so severe that it usually leaves the expectant mother dehydrated and deficient in nutrients. It also leads to weeight loss that in turn affects the health of the growing baby. According to HER Foundation, around 0.5% of pregnancies in the United States involve the patient to undergo hyperemesis gravidarum. Out of this, 59,000 of the pregnant women have no choice but to get themselves hospitalised and undergo the IV treatments. Earlier last week, Rose took to Instagram to share the good news that she is expecting her second child, first with Alexander, with a caption, "@ae4president and I are SUPER excited to announce that we have a Sweet little Baby Boy on the way! P.S Sebastian is soooooo Happy to be a big brother!" We just hope her pregnancy is smooth without any more hassles.